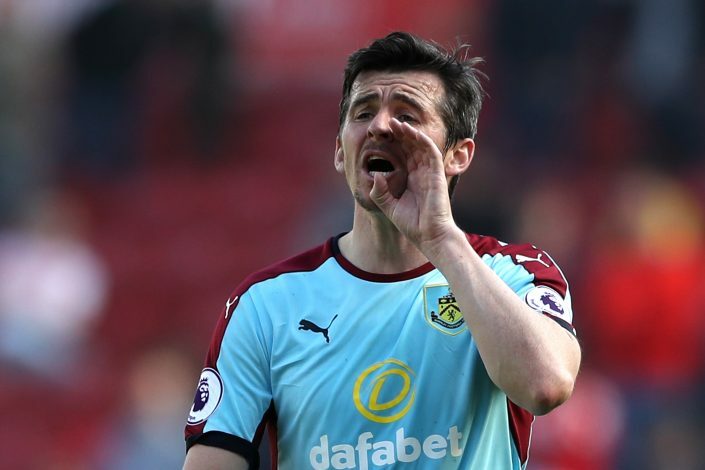 Burnley have been hit with a major blow, as experienced midfielder Joey Barton has been suspended for the rest of the season and more in a betting charge. Sean Dyche’s Burnley may have done enough to stay in the top flight for yet another year, but they are going to miss their 34-year old midfielder Joey Barton till the end of the next season. The Englishman has been banned from football for 18 months after admitting a Football Association charge in relation to betting. The midfielder, however, is set to appeal on the length of suspension branding it excessive. Barton has been fined £30,000, and warned about his future conduct after being charged with breaking FA rules for placing 1,260 bets on matches between 26 March 2006 and 13 May 2016. In an interview after being handed the charge, Barton revealed that he is addicted to gambling. “I have fought addiction to gambling and provided the FA with a medical report about my problem – I’m disappointed it wasn’t taken into proper consideration,” he said. He further defended himself by claiming that this habit of his has never affected his performances, and that it does by no means fall under the category of ‘match fixing’. Moreover, he went on to ask the FA to take more measures to make football better, and tackle the issue of gambling more seriously. “If the FA is truly serious about tackling the culture of gambling in football, it needs to look at its own dependence on the gambling companies, their role in football and in sports broadcasting, rather than just blaming the players who place a bet,” he added. Written by Aakarsh Bommakanti. Tweet to get in touch with him.